From I-75: Take Buttermilk Pike Exit. North on Buttermilk Pike. Right onto Sunglow. Home will be on your right. Welcome home to the quiet community of Villa Hills! 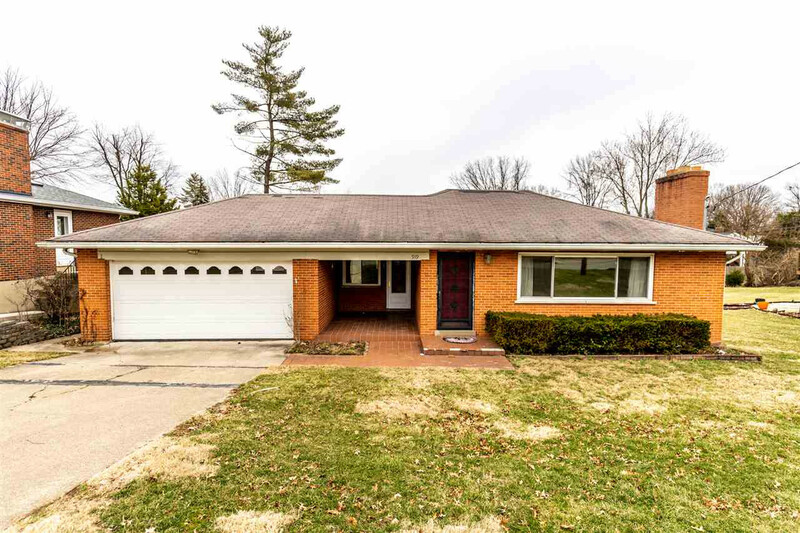 This ALL BRICK ranch is NO STEP living at it's finest! This home has gorgeous hardwood floors, large windows, spacious rooms, and tons of unique features! It's ready for new owners! You will love the flat back yard with patio, the full basement with a walk-out, and the location close to everything! Come see today - this one won't last long at this price! NOTE: This property was sold on 3/28/2019 and is no longer available. The details listed below are believed accurate to the date of the sale and are subject to change. Villa Hills is a vibrant suburban community of 7,500 residents and was named the number one suburb by Cincy Magazine in 2014 and the seventh best suburb in the USA that same year. Its roots go back to 1785 when the area was settled by Robert McKay as payment for service in the Revolutionary War. The area was originally called Madonna Acres and Ludlow and for many years was unincorporated farmland. In the early 1960s, people started building homes and the area incorporated itself as a city. Because of its convenient location and lovely terrain, this city has enjoyed a surge of growth in residential properties during recent years. The mixture of houses and condominiums comes in an appealing variety of traditional and contemporary styles. The price and size of Villa Hills properties is just as varied as the architecture. One estate type subdivision offers large luxurious homes up to the million dollar plus range. All neighborhoods are well maintained and attractive. Some offer stunning Ohio river views. Villa Hills residents are united in pride and enthusiasm for their lovely community. Transit Authority of Northern Kentucky provides service to this community. I-75 is conveniently located five minutes away. Downtown is about 15 minutes driving time and the Cincinnati/Northern Kentucky International Airport is a 10-15 minute drive. Villa Hills is within minutes of St. Elizabeth Medical Center and St. Elizabeth West. Other major hospitals are within easy driving distance. Children's Hospital	is located in Cincinnati. Major shopping centers nearby include Buttermilk Town Center and the Crestview Hills Town Center. Due to the city’s location, stores in downtown Cincinnati and other Cincinnati shopping areas are very accessible. Golf and tennis enthusiasts are 10 minutes away from Kenton County Golf Course, which offers a 27-hole golf course and tennis courts that are open to the public. Two private membership country clubs are nearby. Also, indoor tennis is within easy access. Boaters will find excellent marinas on both sides of the Ohio River. "Harry Rigney Park" has 27-acres and offers fields for baseball, soccer and softball. Other parks include "Franzen Fields" and "City-Civic Park" which is adjacent to Franzen Fields. Also available nearby are ice skating, bowling lanes, cinemas, roller rinks and fine restaurants. Villa Hills has close proximity to the Crescent Springs Recreation Park which offers a private picnic area, horse shoes, basketball, swings, play equipment, walking trails and soccer fields.